AND WHO DOESN'T ENJOY RAIDING AN ICE BOX? 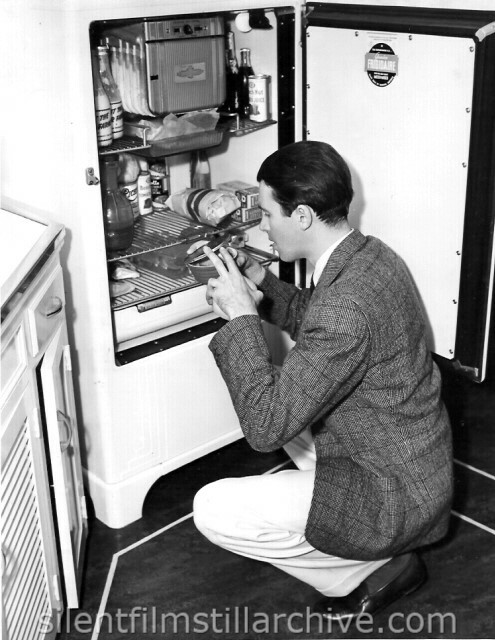 James Stewart, Metro-Goldwyn-Mayer star, is no exception and keeps the refrigerator in his Brentwood home ready for emergencies. The actor recently completed "The Mortal Storm," in which he appeared with Margaret Sullivan, Robert Young and Frank Morgan. Frank Borzage directed. The Mortal Storm was a sound film released in 1940.